I've really been getting back into MUA's lip products again recently, they have released some lovely new makeup bits for Spring/Summer and their Sweet Sheen Lip Balms really caught my eye so I just knew I'd have buy one to try and ever since I've been obsessed! MUA's Sweet Sheen Lip Balms are soft balm's that moisturise the lips whilst also adding a subtle pop of colour, these are most definitely dupes for the Revlon Colour burst Lip Butters but will set you back a tiny £2.00 each instead of Revlon's £7.99, what a bargain! MUA offer six pretty shades in their Sweet Sheen collection ranging from reds, corals and pinks, so theres certainly a shade to suit everyone, I opted for the darkest shade in the collection 'Cherry Bomb' because I do love my red toned shades he he! 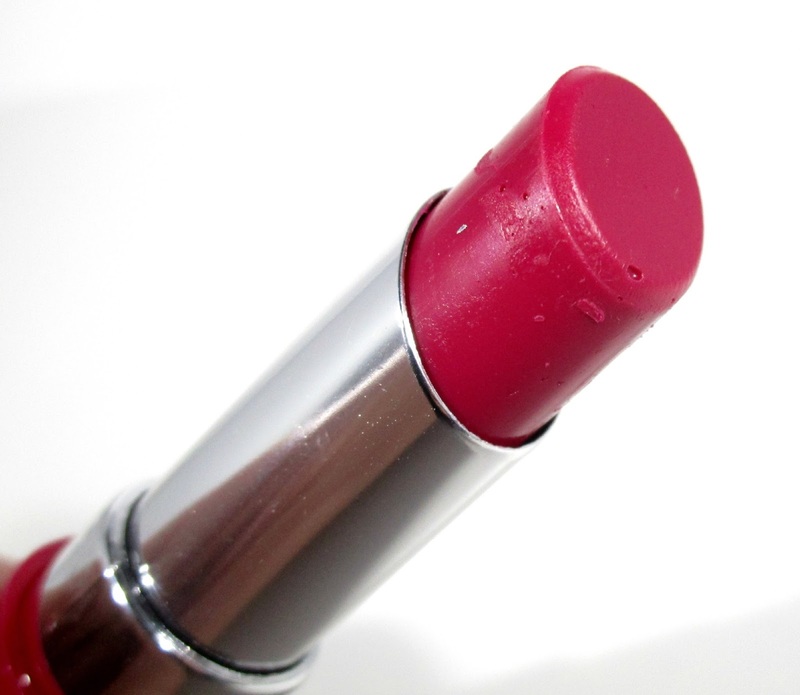 Cherry Bomb is a pinky red shade and comes housed in lovely, sturdy, twist up packaging much like you would see if you bought a lipstick, it's great to throw in your handbag as the lid is nice a sturdy and trust me I've certainly put that to the test recently. The Sweet Sheen Lip Balm formula is gorgeous, it's very pigmented considering it's named a lip balm and really does add a juicy pop of colour to the lips, it's moisturising quality's are very good too and I can feel it working a good couple of hours after application which is pretty impressive, the sweet sheen's also have a lovely sweetie scent and taste to them which I really enjoy. The lasting power of the actual pop of colour on the lips stays in place a good hour or so but 'Cherry Bomb' also stains the lips so after the moisturising sheen has worn off you are left with a pretty stain, I cant say whether that would happen with the other shades in the collection because they are all lighter but 'Cherry Bomb' certainly stays around a while as a stain. 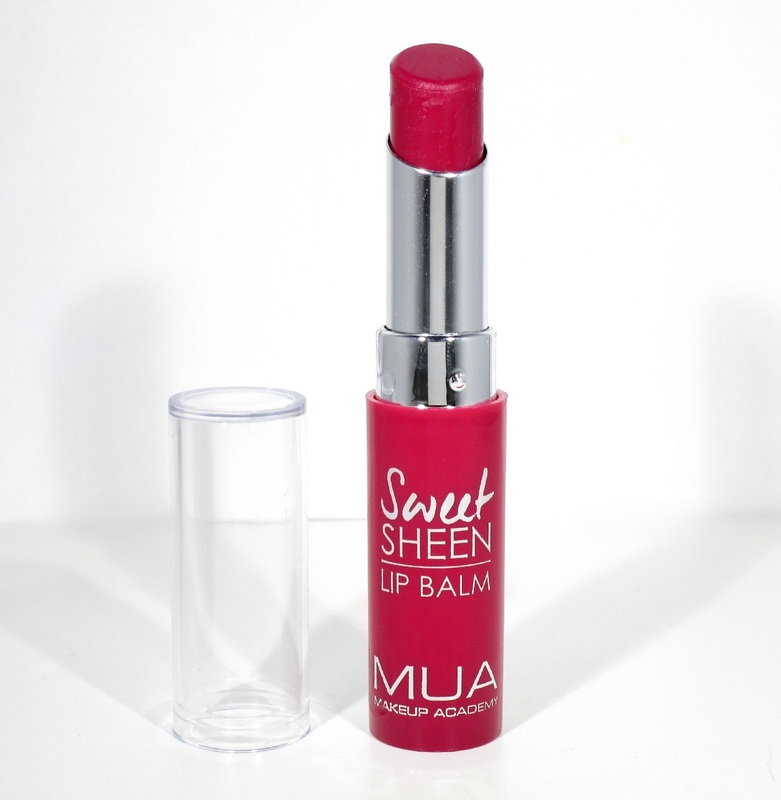 Overall I'm so impressed with MUA's Sweet Sheen Lip Balms and I most definitely want the entire six shades now, they are just so great to throw on no matter what time of day and just adds that something to your lips without it being too full on, their perfect for Springtime wear. 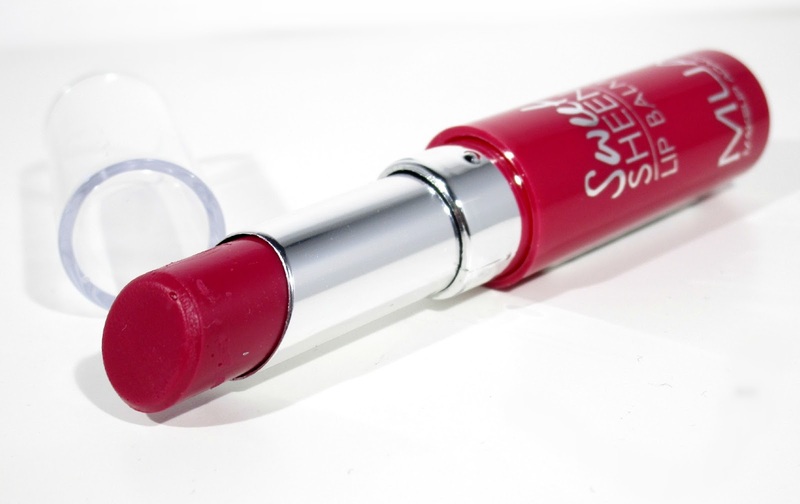 Have you tried any of the MUA Sweet Sheen Lip Balm's beaut's?? What did you think?? I'd love to know!! Lovely post Hayley! These look gorgeous and that shade suits you so well. MUA are such a good brand for amazing but affordable products! These remind me of the Benefit balm's although these look sooo much more pigmented! Meet my April 'Sparkling' Advertisers!